Why not recreate that special moment with our Dolphin Ring? The beloved sea mammal has been captured mid-jump in sterling silver. 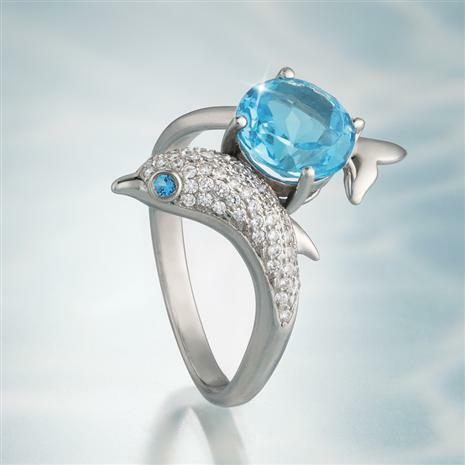 And, tucked into the dolphin’s tail is a full two carats of shimmering blue topaz. The perfect symbol of fun in the sun.